The IELTS Reading test is basically a comprehension test, wherein you are to read passages in three sections and answer questions like multiple choice questions, matching, short answer questions and true/false/not given and yes/no/not given. In this article, we are going to discuss certain methods and IELTS reading tips to follow for answering true false not given with example, these IELTS Reading Tips will help you score better in the Reading section. 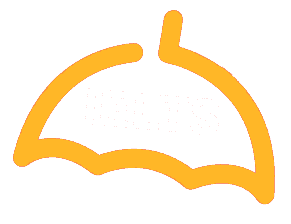 Many people consider this section to be the toughest among all the sections of the IELTS test and it is true to some extent, considering the time limit one has to answer the questions. However, with the correct technique and the right amount of practice, it is definitely to score very high in this section. The most tip to score high in the true/false/not given lies in the method of answering itself. So let us take a look at the method in detail, followed by some tips to polish your technique and it should surely help you score better. 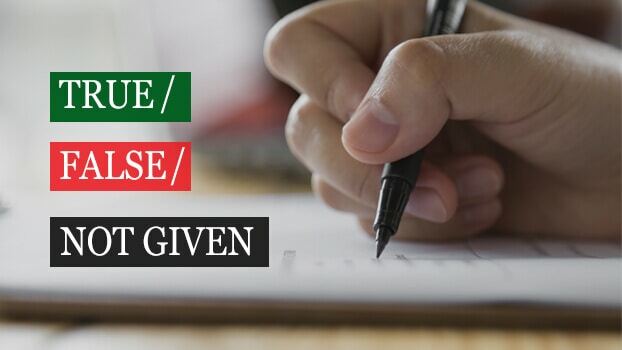 Understand the question: What does True/False/Not Given in IELTS Reading mean? If the statement in the question matches the information given in the passage, the answer is True. If the statement in the question is OPPOSITE to the information given in the passage, the answer is False. Remember this, most people confuse this with information ‘not matching’. For a statement to be False, the statement and the information given in the passage need to be of opposite meaning. If the information in the question statement is not mentioned in the passage, the answer is Not Given. Studies demonstrate that vegetables grown in season and ripened on the tree are far higher in essential nutrients than those grown in greenhouse and ripened by laser. ‘Naturally produced vegetables’ have the same meaning as that of ‘vegetables grown in season and ripened in trees. ‘Higher’ is a comparative marker that is equivalent to ‘more’. The following steps will help you score better. Take note of the heading at the very onset. Knowing the title gives an idea about the context of the passage, thus giving you a better idea about what to expect in the passage. After you have read the title, move directly to the question and read to understand the meaning of the question. Take your time to analyze the question and after that move to the passage and skim through it to find lines that match the meaning given in the question. There is a high possibility that you will not find the exact words in the passage as in the question, so keep an eye for paraphrases and read that portion thoroughly thereafter. Remember that for a given statement to be true, the entire meaning of the statement should match with the information given in the passage, not just the keywords, so read thoroughly. If the meaning of the two sentences matches, the statement is True. For a statement to be False, it is essential for the statement to be of the opposite meaning of that in the passage. If no such information is given, it is Not Given. Take your time in understanding and analyzing the meaning of the question statement. It is very important to understand the question thoroughly, rather than to just match words and hurry to arrive at an answer. Do not try to match words; most of the times IELTS will use synonyms or paraphrases in the passage and exact words. Moreover, you will tend to miss small words that carry meaning. So match meanings, and NOT words. Answers always come in order. This is the most useful tip to remember. The answer to the first question will appear before the answer to the second question and the answer to the third question will appear after the answer to the second question and so on. This helps a great deal in answering questions when it is Not Given because you can skip reading the entire passage if you read the next question beforehand. Keep an eye on the next question. This helps you to know the boundary till which you have to read for the present questions, cause as is mentioned in the previous point, answers always come in order. Look out for comparisons or quantifiers. IELTS always lays its tricks in terms of quantifiers such as all, some, etc. which are different in the question statement and in the passage, which in turn, greatly varies the answer. So make sure you check those thoroughly. A statement is False only and only when the meaning of the question statement is the Opposite of the meaning given in the passage. The same techniques can be used to answer the question type: Yes/No/Not Given, where you have to look for the author’s opinion, instead of direct information. well explained.. but “The most easiest”.